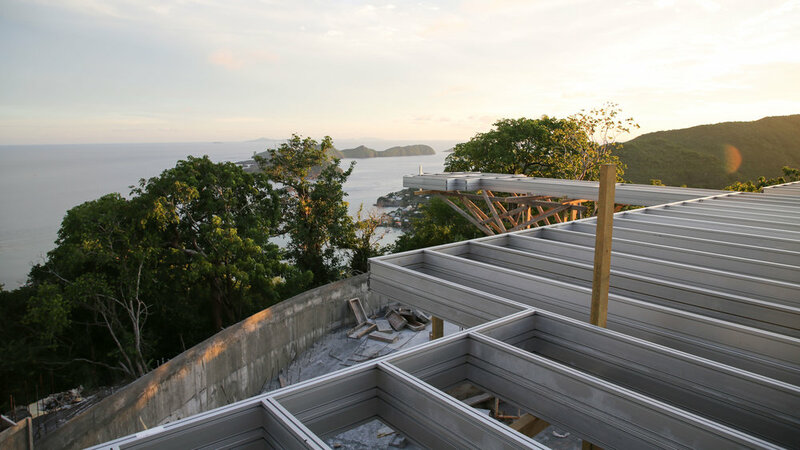 As the sun sets over Bequia, construction of the Sail House continues high above the trees. 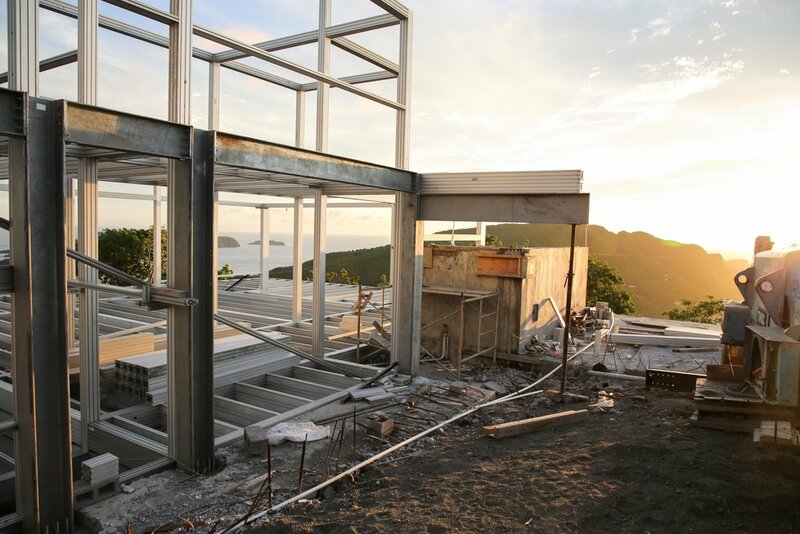 Soon the scaffolding will be disassembled and the house will begin to fill in around its frame. 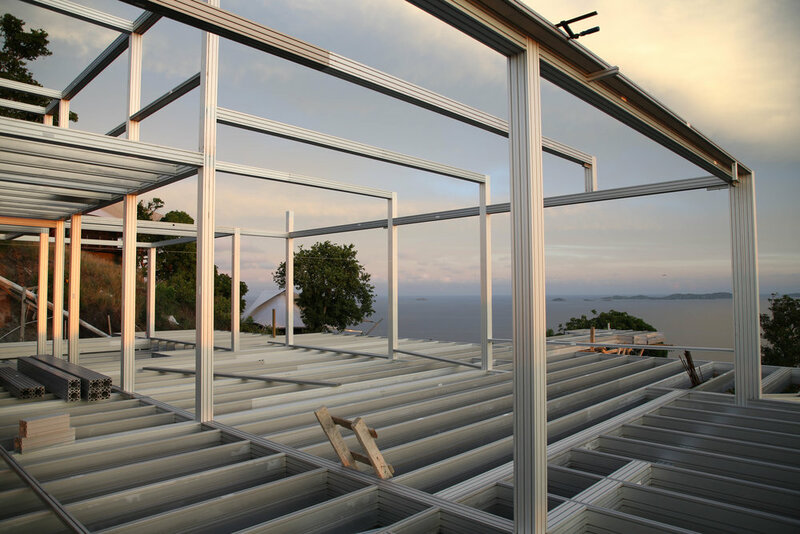 The images below show the aluminum substructure of the prime residence approaching completion. 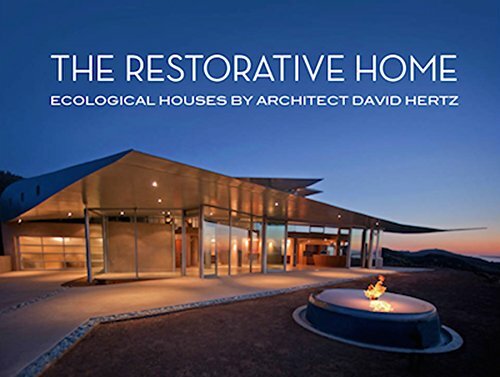 We are so excited to see this project progress, and thankful to everyone involved in making it a reality.